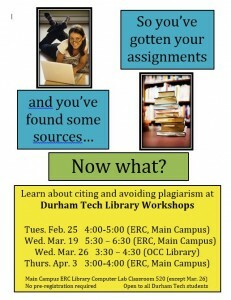 Learn how to avoid plagiarism! Come to a spring workshop. Please join members of the library staff and the college for Durham Tech’s Stop Hunger Now Meal Packaging Event on Mon. Jan. 20th from 9:00 – 6:30 at the Wynn Bldg room 1103. Click here for more information and to sign up for a volunteer shift. This important service project is a great way to start off the year! 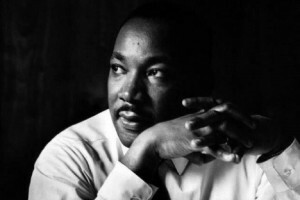 The library has lots of resources on Dr. King’s life and work, as well as materials on poverty, social justice, activism, and service.